Saturday, November 17: Review and reflect on Scriptures from the week. Sit quietly and ask God to show up. 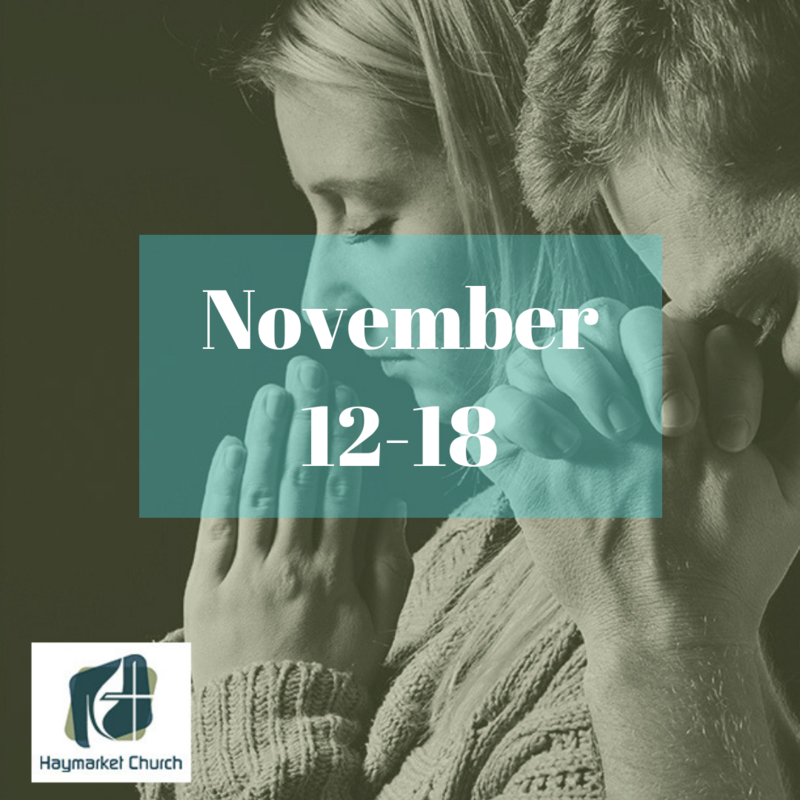 Sunday, November 18: Show up to worship and experience Scripture and prayer together with your church. If you can’t make it to worship, go to our Facebook page or HaymarketChurch.org/livestream-worship to worship online (either live or later). Prayer Focus This Week: For an end to violence around the world, and in our nation. Pray in particular for victims of mass violence (including war and the mass shootings we have seen in recent weeks), for people who love them, and for an end such terrible occurrences. Action: Take some time to pray the “Jesus Prayer.” Sit in silence, and repeat the phrase “Lord Jesus Christ, have mercy on me, a sinner.” Repeat this a few times at the beginning of each day, and then try to repeat it throughout the day when you are in need of peace.